Renee Sanderson is a go-to-market strategy executive with 25 years' experience accelerating time-to-market, revenue capture, and corporate growth through markets served by partners. Renee leads the team that drives acquisition integration strategy for Cisco's Global Partner Organization. She and her team spearhead the end-to-end integration of indirect sales, as well as the transition of the acquired companies' channel presence and indirect sales engagement. Renee and her team similarly lead indirect sales strategy planning for Cisco strategic partnerships and divestitures. 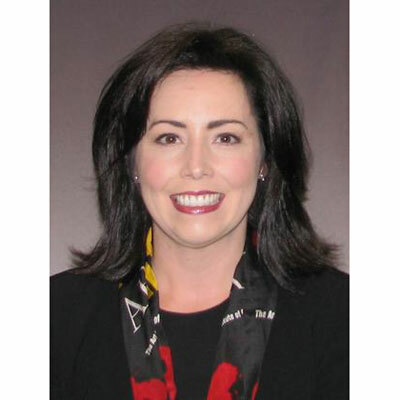 Renee is a leader within Cisco Connected Women and was a multi-year co-chair of the group's Professional Development pillar. She is a recognized leader in the channel at large and is a three-time CRN Women of the Channel honoree. Renee joined Cisco in 2011 to scale Cisco's indirect sales acquisition integration practice, a role she had created at Hewlett-Packard. In her 16-year career at HP, in addition to M&A work, Renee held leadership roles in the networking and storage business units, always focused on building and growing HP's channel. Renee holds BS from Northwestern University. She and her husband and their Labrador retriever live in the San Francisco Bay Area, where the whole family enjoys chasing tennis balls for sport. I lead the team that drives the global integration of Cisco's acquired channel business. My team and I spearhead the end-to-end integration of indirect sales, as well as the transition of the acquired companies' channel presence and indirect sales engagement. This partner advocate approach speeds Cisco's ramp to revenue as we accelerate out of each integration. This year, I launched our Customer Success acquisition integration practice - land, adopt, expand, and renew. Together, Cisco and our partners are growing our shared ability to not only land business but also master the newly-important adoption and expansion roles critical to enabling our customers to experience the full value of their technology investment. This is important during an acquisition - we need to effectively enable the acquired Customer Success team at Cisco, and, efficiently roll that out to our partners ahead of the customers' renewal cycle. My and team and I developed the acquisition integration methodology for Customer Success and we're now in production on 4 deals, including our newest acquisition -- BroadSoft. Accelerating the enablement of adopt-expand-renew at acquisition accelerates profits for our partners. 1. Help our partners achieve growth and profitability in the ever-changing technology landscape. 2. Develop programs, tools, training and resources that enable our partners to evolve their business so they can capture digital transformation opportunities. Focus areas include Customer-in selling, customer lifecycle/software (recurring revenue) and professional services. 3. Continue to aggressively drive our strategic priorities, including: 1) making it easier for our partners to transact with Cisco; 2) ensuring our collective go-to-market engines are aligned around the same priorities; and 3) sharing an equitable exchange of value that is commensurate with the evolving technology landscape. I am honored to have been named to the Board of Directors of the Northwestern University Leadership Circle. The purpose of the University-wide giving society is to strengthen the relationship between Northwestern and its donors - to create a vibrant community of engaged philanthropists who provide a broad base of support for the university, its students, and its initiatives. I am thrilled to take on this role and lead through servant leadership - a philosophy which holds at its core the practice to enrich the lives of individuals, build better organizations and ultimately creates a more just and caring world. Carla Harris - Vice Chairman, Wealth Management, Managing Director and Senior Client Advisor at Morgan Stanley. She is truly a self-made woman, who knew you didn't get to the top by yourself - a very important point. Her two books share her "Pearls of Wisdom" which are points of very honest, very clear experience and advice on what it takes to rise and advance in your career. Many can inspire you with "you can do it" rhetoric; Carla gives you the specific steps of "how to do it" - how to rise the top. Go work for a start-up - for profit, or non-profit - right out of college. Learn all the roles of the company. Be a maker and seller of your start-up's offer. Listen very carefully to your customers' needs - every day. At that age, you have the energy to invest in the venture, and the time to bounce back from the inevitable bumps. Learning all the roles in the company is the fastest way to figure out what you do, and don't, want to do next in your career. Speed reading! In my role I need to read a lot of information about the companies we are acquiring - I need to master a great deal of content in a short period of time and then compare/contrast the information with how we work at Cisco. I've been picking up my reading pace over the years, but I can definitely work at getting faster; I know it will pay off. Team of Teams, by General Stanley McChrystal. A must-read for all of us in today's business world. In addition to what you'd expect to contribute to success, such as breaking down silos and extending best practices across teams, a key take-away I learned is the necessity to drive everyone to share what they learn across the entire organization. You have to make the time investment and commitment to share the information - and consume the information - fast. Speed of information sharing enables all teams to flex to the new facts and move faster in the same direction.